Hi friend. You are now viewing the products under Quilts For Babies. All quilted products and other related items under this category are provided below. However, you can opt to filter your product lists by hitting a subcategory (subcategories listed below) under Quilts For Babies. Hey, aside from your little one's quilted beddings (which are found in another category of this site), there’s a lot more quilted products for your babies made available here! Indeed we are all excited of having a new life in our homes. These newborns surely brings a lot of joy and colors in our lives. And so, as a little gift for our young ones, giving them some quilted baby products wouldn't cost us much. Here at NothingButQuilts you have lots of choices for your cuddly little ones. Some of our quilted baby products are baby quilt patterns, baby pillows, and kits with baby quilts projects. In choosing what's best for our babies, certain things need to be considered. If you are to going to use these products as a gift for your friend, it's better to consider what she prefers most for her baby. Is her baby a girl or boy? Does she have a particular character that she wants for her child? Does she prefer purple, red, pink, blue or unisex colors? Surely there are many other things to think about before finally deciding to buy your quilts, aside from its being comfy, it will make us feel better if our present will surely make our friends and love ones happy when they receive our gifts. May it be as a gift or for our own child's use, indeed these quilts are worthy to have and with their wonderful colors and designs, they can surely brighten up our day. Here are a variety of quilts products - from baby's quilts books, quilt fabrics; baby quilts patterns, and a lot more - having lots of colorful designs to choose from. If you are a mom who has a new born baby, or grandma thinking what's the best gift for your grandson's christening, then here is a great suggestion from us. Why not buy him or her quilted beddings? It's surely a thoughtful present for you to give your little love ones. These quilted baby beddings, which commonly includes pillow cases, blankets, and even crib covers, where all made available by NothingButQuilts. Aside from the comfy that these products offers, make your eyes smile as you take a look at a variety of products we offer. These quilted baby beddings widely vary in sizes, colors, styles, and designs. You can find here the usual baby-friendly designs such as the teddy bears, balloons, different animals, the alphabet, flowers, different shapes, and many different cartoon characters such as Winnie the Pooh, Disney Princess, Spongebob, and many other designs you can choose from. 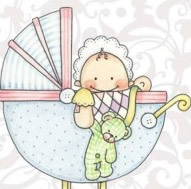 But if you opt to be give a more personalized gift for your baby, then we also have something to offer for you. Aside from those ready made quilts, our shop here at NothingButQuilts also offers plenty of quilt kits and fabrics suited for your young ones. You can choose from the various designs, colors, and sizes available in our shop. See how your babies will be enthralled with all the colors and varieties of prints these fabrics have. Select your item now and be sure to give your little ones a hug while giving this gift to them. If you are into quilting, or even if not, but you have a son, a daughter or niece / nephew who's still in her infant / toddler years, you might be interested of buying him / her some quilted beddings. Our quilted baby beddings varies from blankets, pillow cases, crib covers and more.